The SEC’s proposed and long-delayed rules for equity-crowdfunding – prompted by passage of the JOBS Act in 2012 – allow small, startup businesses to sell up to $1 million in equity-crowdfunded securities in a 12-month period to certain investors without triggering the full range of registration requirements. But the growing pains and opportunities for those same businesses may create the need to raise money again in a short period of time, or sell securities under another exemption. There is much uncertainty about the frequency and number of unregistered offerings that a startup business can initiate contemporaneously with its equity-crowdfunding efforts. Much of that uncertainty stems from the SEC’s application of the “integration doctrine” to equity-crowdfunding transactions. Since the passage of the Securities Act of 1933, the integration doctrine has provided a method for determining whether multiple issuances of securities should be considered as part of the same offering, triggering the SEC’s registration requirements that most companies would prefer to avoid. Under the proposed rules for equity-crowdfunding, the integration doctrine would be used to determine whether a startup business has exceeded the $1 million cap in an equity-crowdfunding transaction. 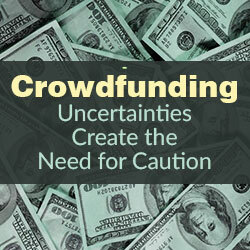 Only funds raised pursuant to the crowdfunding exemption are counted toward the $1 million investment cap. However, funds raised by alternative means, including donations or reward-based crowdfunding efforts and offerings that fall under the registration exemptions, will not be counted in determining whether a startup company has exceeded or will exceed the investment cap. In sum, an offering made pursuant to the crowdfunding exemption should not be integrated with other exempt offerings made by a startup business if each offering complies with the requirements of its respective, applicable exemption. Therefore, startup businesses should be able to employ various methods of fundraising in addition to and contemporaneously with equity-crowdfunding. In consideration of the $1 million investment cap, equity-crowdfunding is helpful as an additional source of capital to fill the gaps between more traditional fundraising methods. Before equity-crowdfunding, there were several exemptions to the SEC’s registration requirements for startup businesses. For example, Rule 506 of Regulation D is a popular means for conducting a private placement because it permits startup companies to raise an unlimited amount of money from accredited investors and pre-empts state securities laws that might require registration of an offering (state laws that govern broker-dealer registration requirements are not preempted, however). For a valid Rule 506 offering, all sales that are part of the same Rule 506 offering must satisfy all of the terms and conditions of Regulation D, which provides for a six-month integration safe harbor. Under the safe harbor, if a startup business engages in a round of equity-crowdfunding more than six months before the opening, and more than six months after the closing, those efforts would not typically be integrated with the other. If the safe harbor is unavailable, determining if multiple offerings are integrated depends on the particular facts and circumstances analyzed by the SEC. The two most important factors in such analysis are likely to be whether the sales involve the issuance of the same class of securities and whether the sales are part of a single plan of financing. Different classes of securities include convertible debt, convertible or participating preferred stock, non-convertible or non-participating preferred stock, common stock, options and warrants. Notably, under the integration doctrine the SEC treats an offering of a class of securities and an offering of another security convertible into that class of securities as offerings of the same class. When considering whether the sales are part of a single plan of financing, the focus is predominately on the use of proceeds. However, there are also potential integration pitfalls through the use of permitted general advertising and solicitation. In conjunction with the JOBS Act, the SEC has created a new Rule 506(c) to permit general advertisement in a private offering, provided that all purchasers of the securities are accredited investors. In contrast to Rule 506(b), which allows for up to 35 non-accredited investors to participate in the offering, the new Rule 506(c) is applicable only to accredited investors. The proposed rules for equity-crowdfunding provide that a startup business must not advertise the terms of its offering, except for notices that direct investors to the funding portal or broker. For example, a startup business would not want its marketing materials used in a Rule 506(c) offering to be considered a part of its offering materials in the concurrent equity-crowdfunding offering. Additionally, the Rule 506(c) offering would be disqualified because only accredited investors may purchase securities, and integration with the equity-crowdfunding offering would cause the non-accredited investors that comprise the “crowd” to become part of the Rule 506(c) offering. Although the SEC’s integration doctrine provides some guidance and leeway for businesses seeking to raise capital under other registration exemptions, applying the doctrine in the current environment can still be unpredictable. The equity-crowdfunding provisions mandated by the JOBS Act are complicated and the relationship between raising capital under Rule 506 and those using equity-crowdfunding requires further guidance from the SEC. For example, commenters have proposed that the SEC provide a safe harbor from integration with respect to equity-crowdfunding that is shorter than the six-month period under Regulation D, such as a period of 90 days. Until the SEC provides further guidance, startup businesses should carefully plan how to navigate multiple fundraising efforts in conjunction with equity crowdfunding. 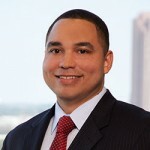 Van Wiltz is an attorney in Thompson & Knight’s Dallas office, and focuses his practice on corporate and securities transactions, specifically the organization, formation and capitalization of private equity funds on behalf of sponsors, promoters and management teams.